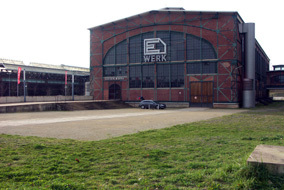 Revision 2011 will take place at an awesome location in Saarbrücken - the E WERK. 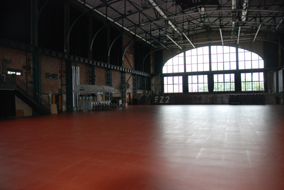 It is a former industrial hall, built in 1908 for a steel company, which has been completely renovated and offers enough space and all necessary facilities for an event like Revision. The E WERK already hosted all kinds of big events - from Motörhead to business meetings and product presentations. It is located in an industrial disctrict and is easily reachable. In its surroundings you will find everything for your shopping needs within walking distance. For those that need a nap and don't stay at a hotel we will have a large, separate sleeping area. 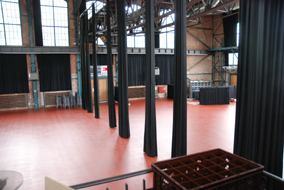 Please note, that it is still located inside the main hall, so it won't be extraordinarily silent. Be sure to bring along earplugs or get some at the infodesk.